Jon serves as the President of Olson Search International, Inc. He began his recruiting career with the Sales Consultants division of Management Recruiters International (MRI). In his 13-year career with MRI, Jon earned recognition and numerous awards as a top recruiter, and played a key role in developing ideas that later came to be widely implemented throughout the organization. He pioneered the specialty focus in the forest products industry for the company. For each of his last five years with the company, Jon was a “National Top 10″ award winner and became a member of the MRI Hall of Fame. In 2007, Jon founded Olson Search International, Inc. in order to be able to exclusively devote the company’s time and energy to serving the forest products and building products industry. Olson Search International’s scope of expertise has expanded to the wood pellet industry and adjunct operations related to biomass renewable energy. Olson Search International was a pioneer in developing and utilizing Project Teams in order to provide a more comprehensive and customized recruiting approach to each company in a more time-efficient manner. The Project Team has become an integral part of retained search options, including Priority Search (partial retainer) and traditional fully-retained search. Jon is a member of The Pinnacle Society, which is considered North America’s premier consortium of the top recruiters within the permanent placement and search industry. A nationally renowned trainer has recently recognized Pinnacle Society members as the top 1% of all recruiters. 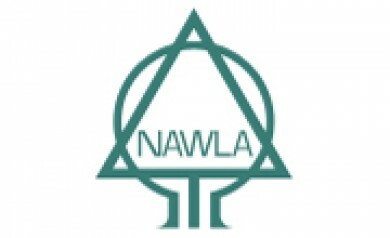 He is pleased to be an associate member of NAWLA/North American Wholesale Lumber Association and NHLA/National Hardwood Lumber Association. Olson Search International is the premier professional executive search and recruiting firm serving the forest products/wood products, building products, and bioenergy industries throughout North America and Europe.